IMPORTANT First Grade Words to Know! Click above to read all about Penn Manor’s Kids At Work Day on Friday, February 22nd. We are kicking off our ADVENTURES in READING challenge this week! We will be talking a lot about internalizing our reading as we visualize and connect with our reading more deeply. We have been talking about how we can go on adventures in our readings to far off places and meet extraordinary people! We will celebrate this ADVENTURE kick-off with reading in tents and sleeping bags around the room this week! If your child would like to bring in a sleeping bag or a 1-2 person tent for reading this week that would be great! We will be spending our silent reading time reading in tents and sleeping bags around the room! Today was our first Book Tasting Day of the year. Students in second grade enjoyed sampling books organized by featured artists: Laura Numeroff, Jan Brett, Eric Carle, Cynthia Rylant, Mo Williems and Tedd Arnold. We have been talking about what a “Book Tasting” is for several weeks. Today students learned a little more about how this book tasting was organized. Then they had about 40 minutes to peruse the featured author tables and record their samplings in their Book Tasting Journal. Afterwards we enjoyed a hot cocoa and cookie treat – cafe style! Thanks to ALL of our parents for food, hot cocoa, plates, cups and cookies donations as well as our parent helpers who set up! Happy holidays! Today students in second grade enjoyed many activities centered around peppermint. First we read a non-fiction article about peppermint and the history behind how the peppermint candies started. We completed a peppermint candy experiment where we tested how fast peppermints could be dissolved in water, 7Up and vinegar. We watched a short video on how candy canes are made, sorted fact and opinion statements regarding peppermint, and made peppermint candy patterns. Oh, and we enjoyed a few pieces of peppermint candies throughout the day. Students have been practicing place value through 1,000 for the past two weeks. Last week we got out the oldie but goodies! These are still two great ways to practice place value. Below we used a folded sentence strip to write a standard number that then turned into an expanded number! Also, below is a system of number stackers to build numbers in such a way that students may see the value of each digit! 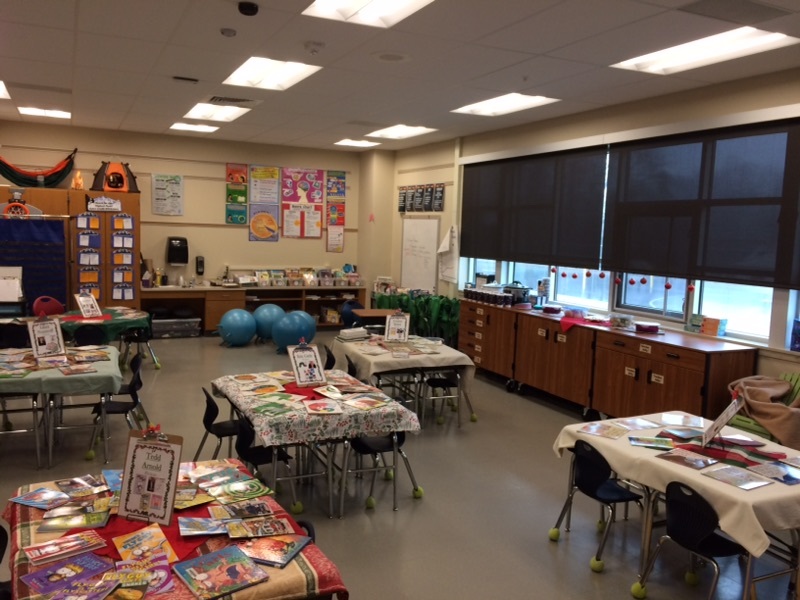 Book Tasting – DEC 20th! We will be having our first book tasting this December 20th. A book tasting is when we take some time to read a small sample of new books. On December 20th, we will be sampling several authors books. Students will read just a small bit of each author or a “taste” and record what they like and do not like in a journal. Then we will relax and enjoy a small cookie and hot cocoa treat – cafe style! Please consider donating items for this day! In our recent anthology selection, we read about how people played long ago and today. We discovered that many popular games today were actually introduced many years ago! We took some time this week to play those games with our classmates and learned that we love to play real board games!